03/04/17 By Gary M. Baranec Tyrone's Kasey Engle collides with West Shamokin's Katie Glover Saturday at Mount Aloysius's Convocation Center. CRESSON — Basketball is a much easier game when the shots you take are 2 feet long compared to shooting from the perimeter all day. 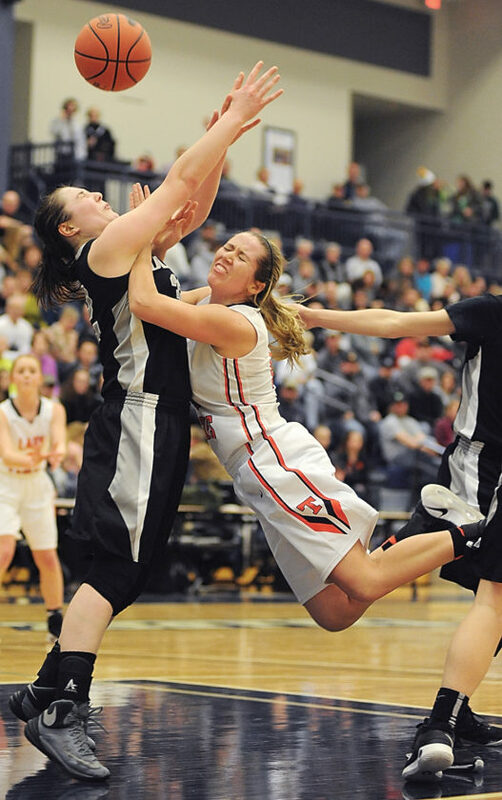 Tyrone obviously knew that coming into its game with West Shamokin for the District 6 Class 3A girls championship at Mount Aloysius College on Saturday, but the Lady Eagles seemed powerless to do anything about it. Twenty-one of the Lady Wolves’ 25 field goals came within a couple of feet of the basket, most of them putbacks or layups, and West Shamokin won its first girls basketball district championship, 58-42. The Lady Eagles actually battled back from an early 11-5 deficit to take a 16-15 lead in the second quarter, but the Lady Wolves ended the half on a 12-3 run. West Shamokin out-rebounded Tyrone 33-18, and many of those were on the offensive side and led to immediate layups. Meanwhile, the Lady Eagles were forced to shoot from long range against a tough Lady Wolves zone defense. Engle made two 3-pointers and converted a traditional three-point play to tie the game at 19 with 4:04 to play in the second quarter, but Olivia Fusaro’s layup seconds later put West Shamokin ahead for good. Engle finished with a game-high 23 points. West Shamokin got 18 points from Andrea Orlosky, 17 points from Jasah Huth and 16 from Fusaro. 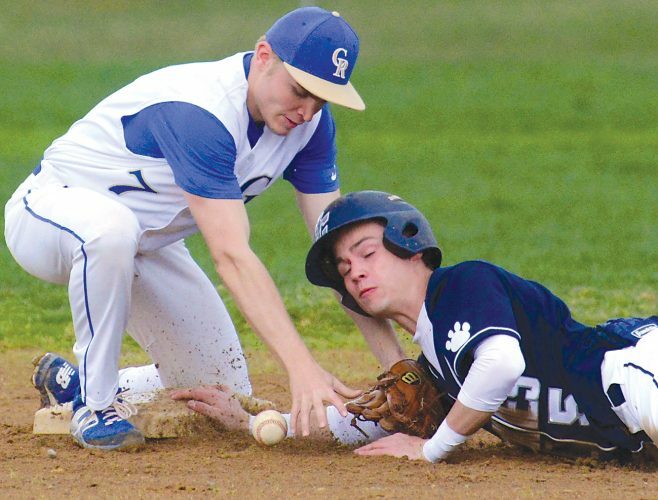 West Shamokin was competing in the District 6 playoffs for the first time after moving from the WPIAL. Tyrone will also continue its season in the PIAA playoffs against the fourth-place finisher from District 7 at a District 6 site on March 11. WEST SHAMOKIN (58): Glover 2 1-4 5, Orlosky 8 1-2 18, Huth 8 1-3 17, Fusaro 6 4-9 16, Clowser 0 0-0 0, DiFilippo 0 0-0 0, Olinger 1 0-0 2. Totals — 25 7-18 58. TYRONE (42): Kosoglow 1 0-0 2, Engle 7 6-7 23, Cannistraci 3 0-0 7, Shaw 2 0-0 6, Lehman 0 0-0 0, Wagner 1 0-0 2, Ronan 1 0-0 2. Totals — 15 6-7 42. 3-point goals: West Shamokin 1 (Orlosky); Tyrone 6 (Engle 3, Shaw 2, Cannistraci). Records: West Shamokin (24-2); Tyrone (24-4). Officials: Dan Gales, Mike Conron, Jeff Fisher.